Move Eeez powder is the go-to for people who need to go! 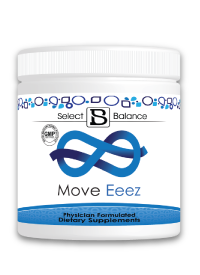 Move Eeez is a dietary supplement that is formulated to be used on occasion or taken daily to maintain regular bowel movements for everyone, especially kids and older adults! Many people who suffer from constipation related symptoms are deficient in magnesium (one of the most common minerals in your body) which may cause irregular bowl movements. Move Eeez loads up on Vitamin C and Magnesium to help keep your bowls regular. Unlike other digestive laxatives on the market (like MiraLax) which should only be taken up to seven (7) days, Move Eeez can be use on occasion for so symptom relief or taken daily in order to keep your bowels regular. Move Eeez is excellent for detoxification and free of artificial chemicals and preservatives, coloring and sugars. It is slightly sweetened with natural citrus powder and stevia extract giving it a mild citrus flavor and can be mixed with water or your favorite juice for a delicious constipation remedy. 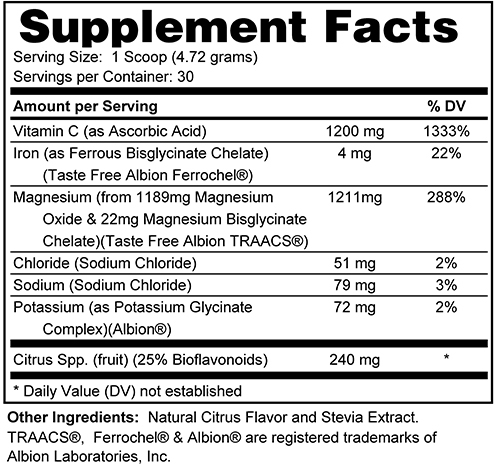 Take 1-3 scoops 1-2 times a day with or without meals or as directed by your healthcare practitioner. Move Eeez can be mixed with water or your favorite juice. Move Eeez does not contain any extra additives or sugars and may not dissolve completely similar to other digestive products like Metamucil or MiraLax. Any remaining residue will have a light citrus flavor. We suggest taking this formula on an empty stomach, 30 to 60 minutes before dinner. Start with a low dose and gradually increase the dosage if needed until you achieve the desired effect. Many adults quickly choose MiraLax as their go-to for constipation relief without even realizing there are natural alternatives available. MiraLAX is an osmotic laxative which blocks the absorption of essential nutrients in the small intestine. Recently people have become wary of the ingredients in Miralax and are searching for natural alternatives. MiraLax contains polyethylene glycol (PEG) 3350 as its active ingredient. What is Polyethylene Glycol (PEG) 3350? Polyethylene glycol (PEG) 3350 is a petroleum derivative, it's essentially a liquid plastic. Common side effects of polyethylene glycol are diarrhea, nausea, stomach cramps, and flatulence (source). There has actually been warnings from the FDA (2011) about neurocognitive (aka central nervous system) and psychiatric side effects from its use (source). Also, a FDA study in 2008 and in 2014 found tiny amounts of ethylene glycol (EG) and diethylene glycol (DEG) in ever batch they tested. These are some of the main ingredients in antifreeze (source)! 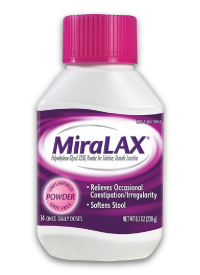 The Miralax website FAQ page reports "MiraLAX generally produces a bowel movement in 1 to 3 days. Once you experience relief, you do not need to continue taking MiraLAX. You should use MiraLAX for no more than 7 days. If you need to use a laxative for longer than 1 week, stop use and consult your doctor" (source). There are many MiraLax natural alternatives available and many people find relief with simple dietary changes like drinking more water and staying hydrated or eating more foods high in fiber or even taking digestive enzymes, but it is often difficult to have all of these on hand every day! That's why Move Eeez is a perfect natural alternative to MiraLax or the hassle of making sure your fridge is fully stocked with fruits and vegetables. This simple to make citrus drink mix is not only easy to store, it is simple to mix and tastes great. Simply mix a scoop (or two as directed by your health practitioner) with your favorite citrus drink for a natural MiraLax alternative! No wonder there are many parents asking for MiraLax natural alternatives. Move Eeez is an all-natural MiraLax alternative made up of healthy vitamins and minerals including Vitamin C (ascorbic acid) and Magnesium not active chemical ingredients found in other dietary laxatives on the market. Let's take MiraLax as an example. The Food and Drug Administration (FDA) approved the drug for use only by adults, and for only seven (7) days at a time. Instead, Miralax has become a long-term solution for childhood constipation too. Its extended use may result in severe malnutrition-related disorders, particularly in young children and older adults. A New York Times article from 2012 actually quotes a pediatrician that says they prescribe "like water" (source). Move Eeez can be taken every day as a stool softener for kids without the side effects that result from chemically created stool softeners like MiraLAX. The slightly citrus flavor of Move Eeez can be mixed with your child's favorite fruit drink to kick start their digestive system or to keep it functioning normally. Move Eeez is an all-natural stool softener that is safe for kids too! Unlike MiraLAX which includes a potential safety issue when administered with kids, Move Eeez is packed with all natural vitamins and minerals. Many parents struggle with their kids and constipation. Move Eeez is an all-natural solution to help soften your child's stool and help keep them regular. We’ve been using Move Eeez for about 3 weeks now after scouring the internet for a safer alternative to Miralax. Her pediatrician suggested Miralax for her issues with constipation and after reading about the side effects it has caused some children we were overjoyed to find Move Eeez. Now, instead of 20-30 minutes and a lot of tears to have a BM, it takes her a few minutes and there is no pain. I’m hoping she will have put on some weight at her next appointment as her appetite seems improved as well. Thank you to this company for creating a natural product to help my girl, we are very grateful! My kiddos love MoveEeez. I mix it with a small glass of orange juice in the afternoon. It has kept them regular. It's a must for all of us! My son is 2 years old, he's suffered from constipation issues since he was born. I didn't want to use Miralax because I knew how bad it was for his body. I was able to call Stephanie herself and she helped guide me through not only dosing the product but gave other helpful facts about how to help my son be more regular and healthier overall. Making those changes I was able to have him go on MoveEeez daily for a while and then transition over to only as needed. It's a must have for all of us around the house. This supplement is as good as advertised. Many laxatives, especially Miralax are formulated in a lab and include chemicals to achieve affect so it was nice to find a product like Move Eeez that is made with Vitamin C and Magnesium. Once you find your dosage, this product works!! !